Melbourne and Metropolitan Tram Board type W-2 street car. Tram (as they are known in Australia) #648 was brought to the United States in 1983, and was a part of the Trolley Festival operated in San Francisco. 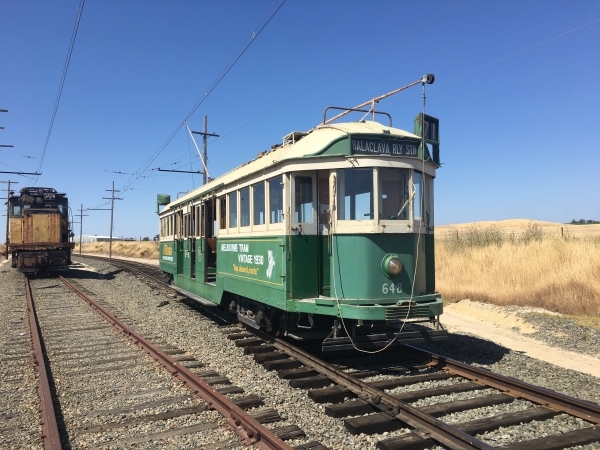 After several summers of successful operation in San Francisco, the car was sold to the Western Railway Museum. Current Condition: Operational and complete. Good condition. Proposed Future Treatment: Maintain in kind.